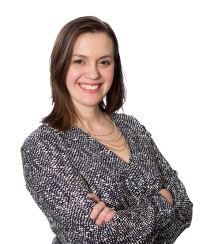 Nury Siekkinen’s practice focuses on litigating complex commercial cases in federal, state, and bankruptcy courts, including defending companies against class action lawsuits. She has represented clients in matters involving the Electronic Communications Privacy Act (“ECPA”), the Video Privacy Protection Act (“VPPA”), the Uniform Fiduciary Access to Digital Assets Act (“UFADAA”), the Michigan Video Rental Privacy Act (“VRPA”), the Illinois Biometrics Information Privacy Act (“BIPA”), and state privacy and unfair competition laws. Nury also advises clients on matters related to third-party subpoenas, emerging state regulations, overseas litigation and foreign criminal investigations. Prior to joining ZwillGen, Nury was an associate at Miller Shakman & Beem LLP, a boutique litigation firm in Chicago. There, she advised and represented clients in a wide variety of commercial litigation matters, including business and partnership disputes, class actions, and legal malpractice claims. Nury has also defended companies against suits involving the Racketeer Influenced and Corrupt Organization Act (“RICO”), False Claims Act (“FCA”), the Employee Retirement Income Security Act, Title VII, the Americans with Disabilities Act (“ADA”), the Age Discrimination in Employment Act (“ADEA”), the Truth in Lending Act (“TILA”), the Real Estate Settlement Procedures Act (“RESPA”), the Family and Medical Leave Act (“FMLA”), and various state law claims. Nury received her law degree from the Northwestern University School of Law, where she served as the Symposium Editor for the Northwestern University Law Review. After graduating she served as a law clerk to the Honorable Matthew F. Kennelly on the United States District Court for the Northern District of Illinois.